Unofficial evaluation. Manufacturers may submit one or more helmet samples and request specific tests and test configurations. The Foundation will not consider prototype test data in evaluation for certification. However, manufacturers may find prototype testing useful in product development. Official pre-market evaluation for admission to the Foundation's certification programs. The manufacturer submits a number of helmet samples, depending on the helmet type and Snell standard, to the Foundation for testing. Snell technicians at Snell laboratories subject these samples to the most rigorous testing permitted by the Standard. Any failure on any sample is a cause for rejection. Required testing and evaluation for all certified helmets. The Foundation acquires helmet test samples directly from stocks of helmets that are meant for sale or distribution to the general public, or specific groups of users, usually from retail or distribution sources. The number of samples we will buy is based on the quantity of Snell certified helmets the manufacturer has produced. Snell technicians in Snell laboratories inspect and test each sample to check that the helmets used by the public continue to meet the Snell Foundation's high standards. If it is found that RST helmets fail to meet the testing criteria, three more samples are obtained and tested to confirm the findings of the first tests. If any of these three follow-up tests results in failure, the Foundation first demands that the manufacturer discontinue production of these helmets as Snell certified products. The Foundation will then continue to investigate the matter and determine a suitable course of action. These actions can range from requiring the manufacturer fix the problem and recertify the helmet, to a complete decertification of the manufacturer's certified product line. In some cases Snell will require that all Snell decals distributed to that manufacturer be returned. This basically amounts to a full scale recall. Gratefully, this rarely occurs because of the procedures taken during the certification and Random Sample Testing program. 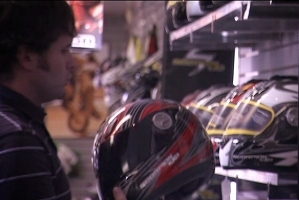 Once a helmet model is certified, the manufacturer cannot make any design change. Any structural modification automatically invalidates existing certification, because it could affect the performance quality of the helmet. 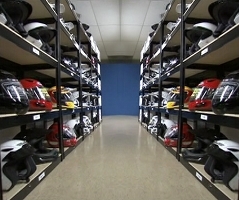 Snell keeps a helmet archive of every certified helmet model for future inspection and verification. Snell Foundation has published "The Implications of M2000 Testing Policy" (pdf, 190KB). This document clarifies why and what action Snell takes when a helmet fails in the random testing program.